Our payment options include Visa, Mastercard, PayPal, bank transfer and cash on pickup. CASH ON PICKUP is only available for customers that opt for “Self Pickup” or “Pickup Today”. 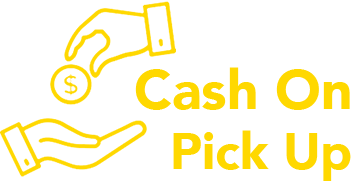 We are one of the very few e-commerce companies in Singapore to provide Cash on Pickup which is a widely popular option among online buyers. The benefits for you is that you do not need to own credit card to purchase with us. BANK TRANSFER is accepted online, we ask that you enter the Transaction ID as the payment reference in your bank transfer to avoid the order being delayed.